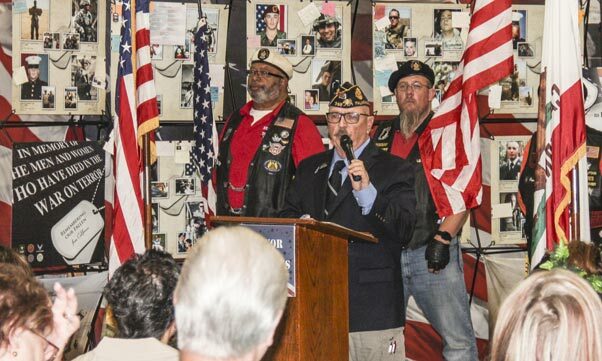 American Legion members post colors for “Remembering Our Fallen from California,” a traveling tribute displayed at the Antelope Valley Rural Museum. Army Veteran Dennis Anderson emceed the exhibit’s opening ceremony on Oct. 22, 2018. 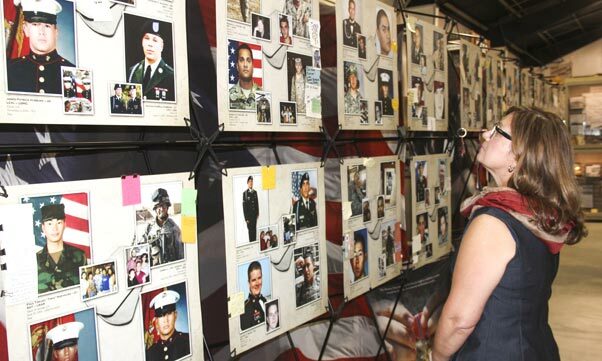 Traveling throughout the state, “Remembering Our Fallen from California” is a photographic war tribute that honors California soldiers killed in the War on Terror, 9/11/2001 to present. The exhibit is on display in the Antelope Valley Rural Museum at the Antelope Valley Fairgrounds through Oct. 29. The exhibit is sponsored by the Antelope Valley Blue Star Mothers and AV Vets 4 Veterans. “Included in each name on this memorial is a story of love and loss, of joy and sadness of dreams unfulfilled and of lives ending far too soon,” shared Dayle DeBry, AV Rural Museum director of military and aviation. 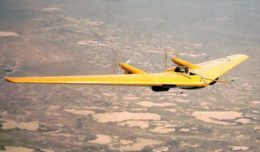 “The names and photos are of our young men and women, family members and dear friends who are greatly mourned and deeply missed.” The AV Rural Museum preserves many artifacts of historical significance to the Antelope Valley, including tributes to local heroes and the sacrifices they have made. “We are dedicated to tell the stories of those who have served and given their lives, and to those who continue to keep our valley and our country safe from harm.” The showcase area at the front of the museum displays uniforms and personal effects belonging to local heroes, from the Civil War to present day. Ron Zell, Air Force veteran, and California representative of the memorial, encouraged parents to bring their children. “The worst thing we can do is to forget those who have fallen.” He traveled 400 miles to the Antelope Valley to set up the display. Although it honors those killed, the memorial was created for the living — to help the families in their grief, while reminding the rest of the nation of the ultimate price paid for America’s freedom. Sadly, more than750 soldiers’ portraits are on display. Blue Star Mother Connie Moler Shuck, takes in “Remembering our Fallen from California,” a traveling tribute to 750 California soldiers killed in the War on Terror, now on display at the Antelope Valley Rural Museum at the AV Fairgrounds in Lancaster, Calif. Moler Shuck said her daughter, Janette Didway, joined the Navy recently as an air traffic controller. She encouraged her daughter, saying she is proud of her and that she is doing the right thing. She said she cannot do enough to support veterans and their families. 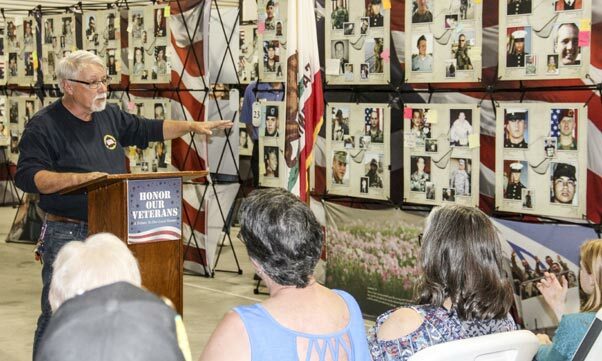 Guest speaker, Army veteran and Congressman Steve Knight, said it gave him goosebumps the first time he saw the memorial three years ago in Santa Clarita, where he walked through it with Gold Star father and close friend, Assemblyman Dante Acosta. “I’m not the kind of person that is good to walk with people going through difficult times.” He didn’t know what to do or say — he couldn’t imagine what his friend or any Gold Star family has been through. “I will never forget that day.” Knight also presented Sylvia Gaxiola of AV Blue Star Mothers with an award for her work with the organization. The memorial was escorted to the museum by Patriot Guard Riders and the American Legion. Exhibit hours are 5-8 p.m., Monday-Friday, and 11 a.m.-5 p.m., Saturday and Sunday. Monday the 29th is reserved for school children.